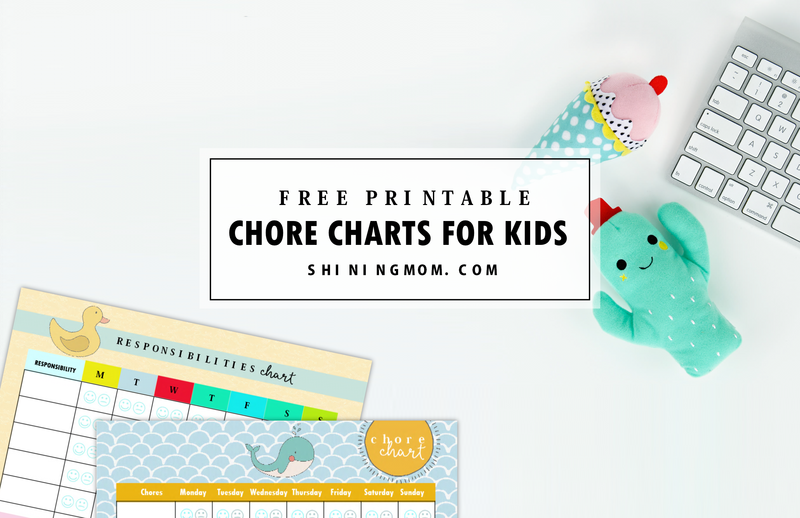 Free Printable Chore Charts: 8 Absolutely Cute Designs! 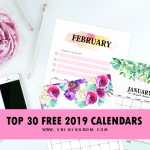 I truly love to use free printable chore charts. In our little abode, I always use them to motivate my kid to do his chores and to be more responsible. 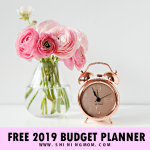 This is why, I always search for the cutest designs available at my ever favorite go-to place for printable inspirations– Pinterest. But it’s a different story today. I created my own chore charts for my kids! 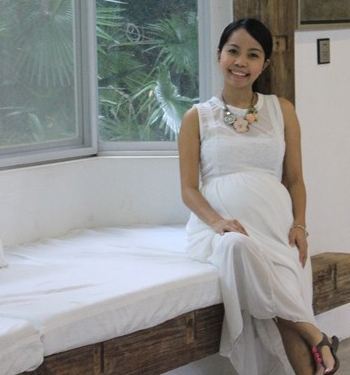 Read: They are all oh-so-cute that I am pretty sure, even your kids will love! so you can get the charts for your kids later! 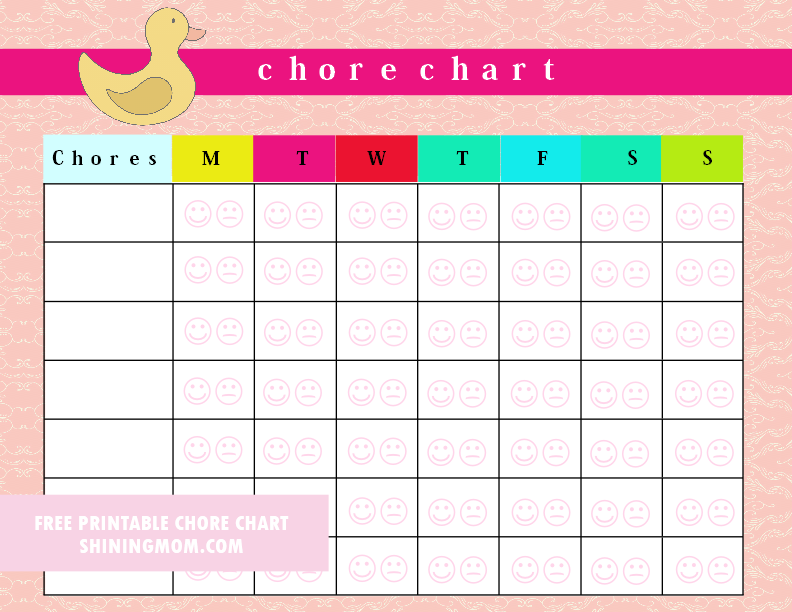 There are 8 free printable chore charts for you to choose from and they all have the same system of use. All of them come in fun and playful designs, especially created for the kids! 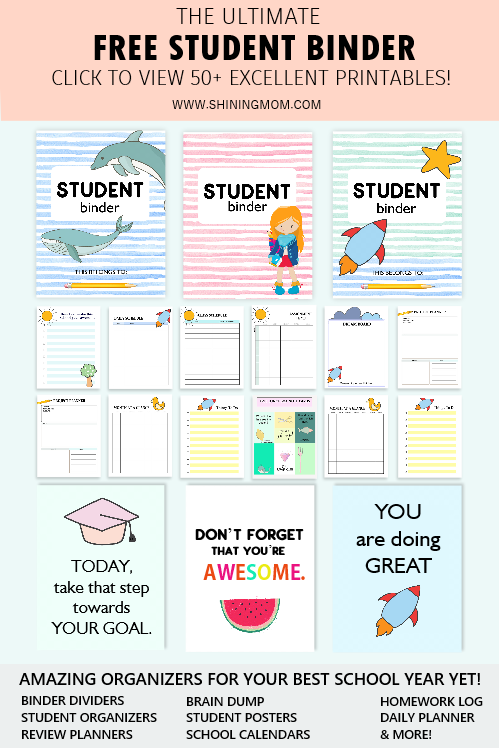 I suggest that you print a new design to use for each week to build excitement! 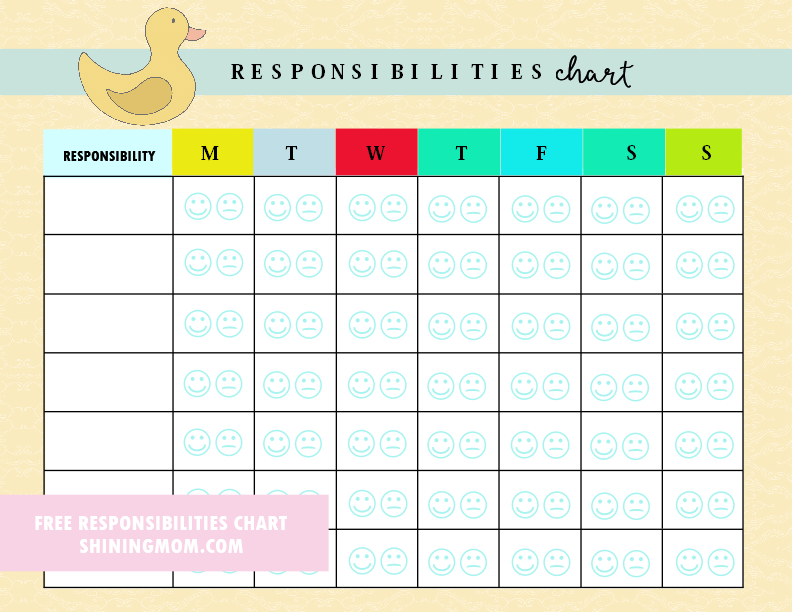 To use these free printable chore charts, in the first table, you are to write the chore allotted for the week. Then, the kid will have to encircle each day whether he accomplished the task or not using the “happy face” for accomplishing the chores and the “sad face” for not being able to do it. It’s a simple system that every kid can do! I understand that some of you might be needing a ‘responsibilities chart’ and so I also added a page that you can use. 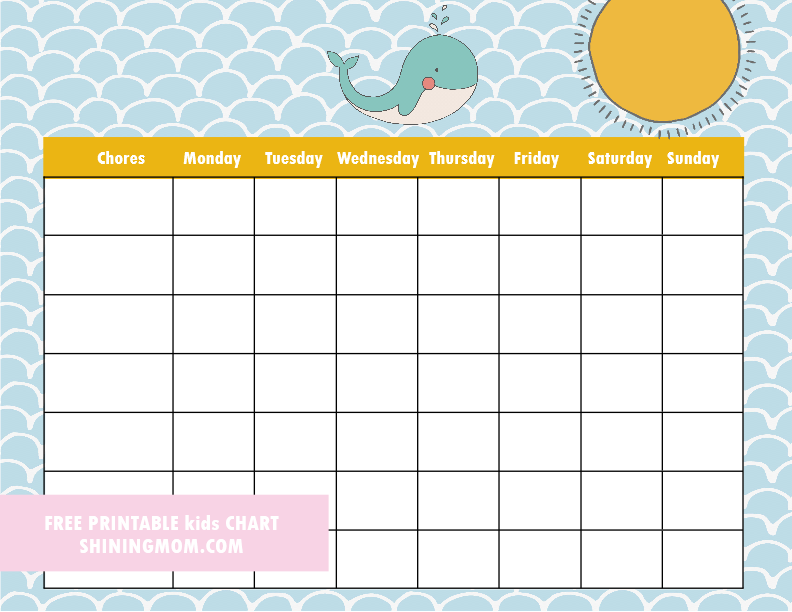 In addition to these free printable chore charts, I have also included a ‘blank kid chart’ that you can use as you wish. Fill it in with your own categories! Do you think you can use these chore charts? 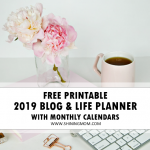 If so, you may hop over HERE to get your printable copy! 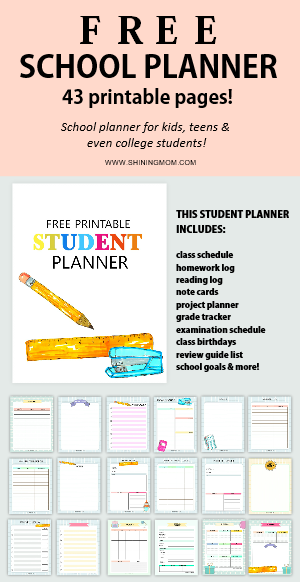 Have loads of fun and learning using it with your kiddos! Well, this free chore charts set is actually just a sneak peek into what I am currently brewing for you. 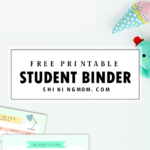 It’s a household binder that every mom should have. I shall be launching it soon, stay tuned! 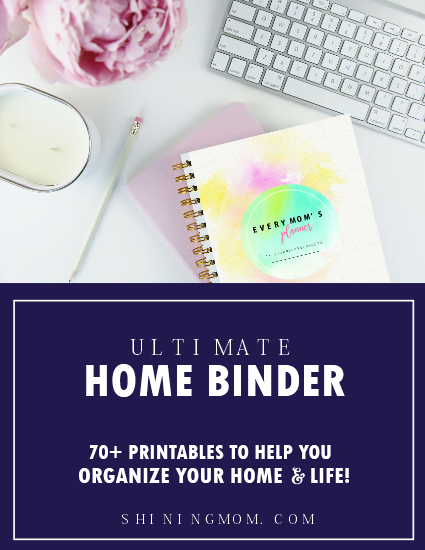 Update: The ultimate home binder by Shining Mom Blog is out, finally! It’s my best ever yet! 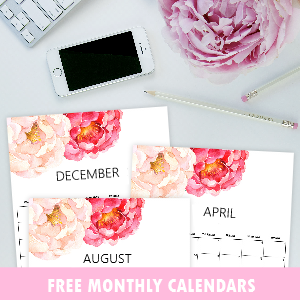 You must view this beautiful printable planner HERE! 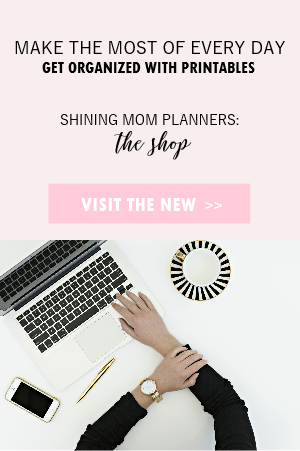 JOIN THE SHINING MOM MAILING LIST! 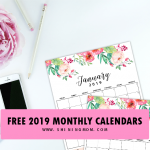 Lastly, I am inviting you to join the Shining Mom mailing list HERE to receive updates of all the latest printable organizers posted on the blog! Be one of my happy subscribers! 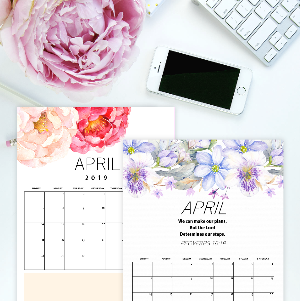 « Mother’s Day Card Ideas: Free Printable Questionnaire Cards!